1. An anti-residue shampoo to rid your scalp of dandruff-causing buildup and leave your hair looking healthy and shiny. Promising review: "After just one use, I feel like I have a new head of hair! Recently, I've been having a lot of issues with dandruff. Even after washing my hair, it seemed oily and I'd eventually end up with a dry, itchy scalp. After reading many reviews, I decided this product was worth trying. I am SO glad I did! After my first use, my hair felt amazing. I've noticed less dandruff and my hair doesn't seem nearly as oily or weighed down. My scalp is pretty much itch-free. My hair feels almost lighter and my build-up is gone! I'm in love with this product! I plan to keep using this!" —Scott E.
2. A hand cream that'll repair your cracked hands so well, you'll wonder if they're even yours. Its main ingredients are water, glycerin, and paraffin that'll work to hydrate, moisturize, and protect your skin. 3. A sugar lip scrub made with raw sugar, coconut oil, and essential oils to exfoliate AND moisturize your chapped lips. It's available in five different scents — Just Sugar, Lime Ginger, Orange Spice, Spearmint, and Vanilla Latte. 4. A Squatty Potty, because let's be real — who doesn't feel great after a proper number two? 5. A collagen facial mask for smooth, moisturized skin that'll have you asking yourself, "Me? Is that you?" after using it. There are 16 different types of masks — Aloe, Herb, Aqua, Charcoal, Pearl, SYN-AKE, Platinum, Snail, Hyaluronate, Cucumber, Green Tea, Gold, Q10, Mulberry, Vitamin C, and Royal Jelly. 6. A membership to ClassPass so you can feel stronger with a variety of exciting workout classes to up your fitness game. Check out this BuzzFeeder's post about her love for ClassPass and learn about their current deal — a free one-month trial! Start your free two week trial from ClassPass with this link. 7. A shower head with mineral beads to help filter the water and provide a water flow that's just right for you. 8. 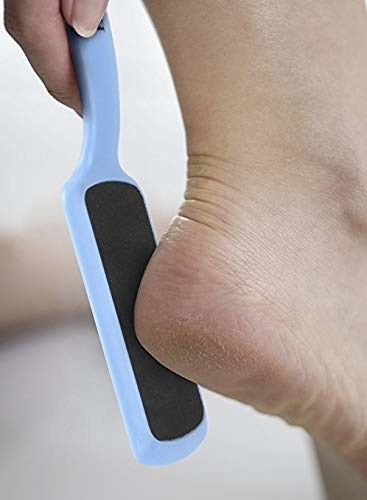 A double-sided foot file that'll pull a Thanos and turn your calloused skin into dust. Goodbyeeeee, dry feet! 9. A set of three Mario Badescu facial sprays which can wake you up in the morning, refresh you throughout the day, and help you unwind after a long day. The set comes with three different scents — Cucumber and Green Tea, Herbs and Rosewater, and Chamomile and Lavender. Get the three-piece set from Amazon for $21. 10. A body scrub made with Himalayan salt, lychee oil, and vitamin E to send all your dead skin down the drain. You can use this body brush to help apply the scrub all over. Get it from Amazon for $15.92. 11. A tongue scraper that can remove all that gross plaque on your tongue and help reset your tastebuds for new and delicious culinary adventures. 12. Foot cream for healing your your dry feet and feeling like you're walking on air. Promising review: "I have struggled with dry, cracked, and gross feet since I was a teenager. No matter what I did, the skin on my heels was always dry and would crack so painfully that sometimes it was hard to walk. I had just resigned myself to the fact that it could never change. However, less than a week of using this cream, the difference in my feet is already overwhelming! My feet are so soft, nearly all the rough spots are gone, and the last few cracks almost totally healed. I have been putting this on twice a day and it’s changed everything. If you are on the fence about getting this, get it!" —Halley B. 13. A lip mask so you'll never walk around with chapped lips ever again. It'll repair your dry lips as you sleep, so they're smoother in the morning and the results last all day. 14. A jade roller to help reduce morning puffiness and relieve sinus pressure so you'll be breathing soooo much easier. Check out BuzzFeed's Goodful for a breakdown of the history and benefits of jade rolling. 15. 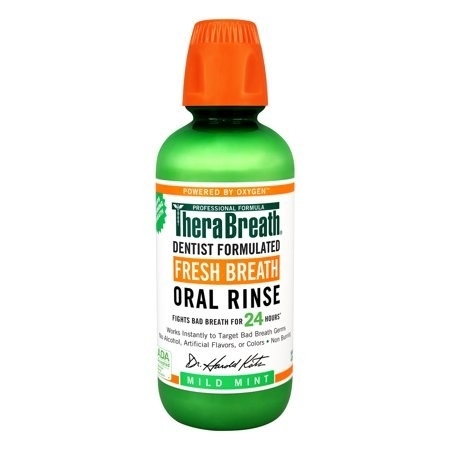 A bottle of mouth wash for when smelly breath is ruining your life and want your breath smelling minty fresh for up to 24 hours. 16. Eye gel made with jojoba oil and vitamin E to send your bags packing and reduce the appearance of your dark circles. Check out our post all about this well-rated eye gel! 17. A bottle of cuticle oil that'll have your dry, ragged cuticles looking like you just left the nail salon after one use. 18. 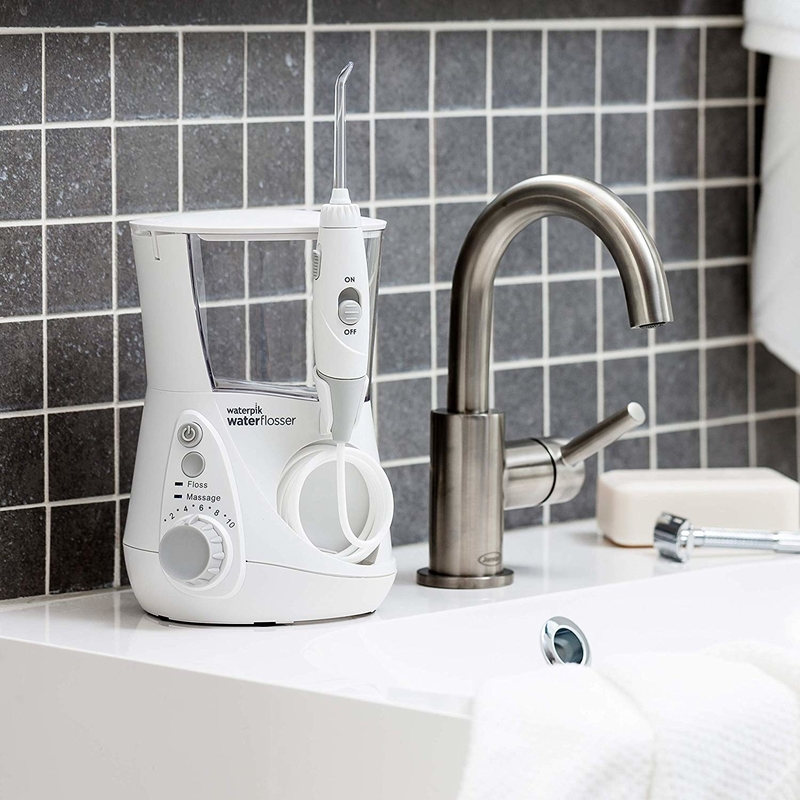 An electric toothbrush to effortlessly clean your teeth, freshen your breath, and leave your whole mouth feeling good as new in half the time it would normally take you. This toothbrush is one of our picks for best electric toothbrush on BuzzFeed Reviews. 19. A face massager that can help de-puff your face (and under eyes) after waking up in the morning and prep your face to take on the day ahead of you. Get it from Amazon for $11.99+ (available in seven colors). Plus, it's made with jojoba oil and calcium to condition your cuticles and nails. 21. A foot peel so you can shed all that dead skin that's holding you back from wearing your favorite sandals. 22. A Waterpik with over 10,000 positive reviews on Amazon that'll get rid of all those pesky leftovers (looking at you, popcorn kernels!) 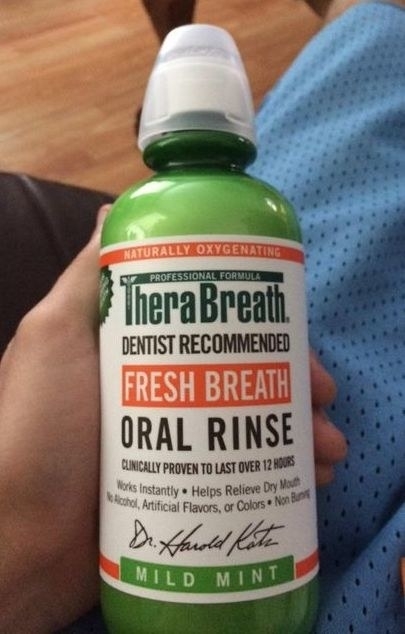 stuck in your teeth and gums, so you'll feel like you just left the dentist's office after every use. Get it from Amazon for $62.99+ (available in seven colors). 23. A massager to release tension and knots all over your body just like a professional massage, but for a fraction of the price. 24. A teeth whitening pen for turning your coffee-stained canines into the pearly whites you've always wanted. Plus, it's bleach-free and vegan! This Tarte Pearly Girl Whitening Pen won best low-priced option for best teeth whiteners on BuzzFeed Reviews! Get it from Tarte or Sephora for $22. 25. A toner made with rose water that'll cleanse, hydrate, and help reduce redness in your skin.